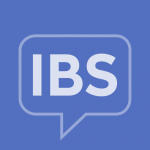 The team at IrritableBowelSyndrome.net conducted our inaugural “IBS in America” survey with the goal of gaining a better understanding of the many aspects of what it’s like to live with and manage IBS. In this survey, we included questions about diagnosis, symptoms, treatment, and the impact that IBS has on a person’s day-to-day life. Over 1,000 people completed our 100-question survey, and we have summarized some of the key results from this year’s survey.You can also view the 2016 IBS in America Infographic. 96% of survey respondents were primarily female with an average age of 59.4.